9 a.m.  3:30 p.m.
We’ll begin our tour of local Jo Daviess County food and flower producers with a stop at Arnold’s Farm near Elizabeth. Tom Arnold will show us his pastured turkey operation along with his chicken pasturing set-up. Tom will also have some hogs/piglets for viewing and will discuss his marketing process and explain why he farms/markets as he does. Tom does have meat available and suggests you order before the date from his website: www.arnoldsfarm.com. He can have your order ready so it will save time the day of the tour. Remember to bring a cooler! We will lunch in Stockton at Stella’s then will head to Groezinger Produce Farm and Clara Joyce Flowers, south of Stockton. He began his operation in 2009 supplying fresh produce to local farmers markets, restaurants, and through his Community Supported Agriculture program serving Jo Daviess and Stephenson Counties. In 2016 he began Clara Joyce Flowers, a fresh cut flower farm growing specialty blooms for local florists. Next we will head down the road to Willow Garlic Growers. This farm is run by Dan Metzger and family. Dan grows 20 varieties of organic garlic on 2 acres. He sells his garlic and garlic products locally and at Logan Square Farmer’s Market in Chicago. He will have freshly harvested garlic for sale. Carpool from Staples parking lot in Freeport at 9:00 a.m. We will return to Freeport around 3:30. Please confirm your attendance with Laura. Arrangements will be made with Stella’s to feed our group. Join us as we explore Crane’s Grove Creek at the Oakdale Nature Preserve. Midwestern streams have an interesting natural history from several perspectives, including biology and geology. Our exploration will take place at a couple locations along the stream and we will be wading in the water where the opportunity is good. It is strongly suggested that you wear old shoes that offer toe protection because there are plenty of rocks and sticks on the bottom of the creek. Meet at the main parking area of Oakdale. Call Richard Benning (815-865-5279) for more information. Perseids Campfire at Elkhorn Creek Biodiversity Preserve. We hope to catch the peak of this annual meteor shower. Prairie walk at 7 p.m.; campfire at 8:00. S’mores and water will be provided. Bring a lawn chair and flashlight. Carpool from the east portion of the Staples parking lot at 6:30 p.m. The preserve is located about 3 miles southwest of Forreston in the southeast corner of West Grove and Freeport Rds. The parking lot is off of West Grove Rd. If weather is questionable, call Mary at 815-938-3204. 7:30 a.m.  2:30 p.m.
Come tour Harlem Hills Prairie near Loves Park, one of the finest gravel hills prairies in the state. Throughout the growing season Harlem Hills is full of blooms; Pasque Flowers, Shooting Stars, and Pale purple Coneflowers lead up to our visit in late summer with a great show of Rough Blazingstars and several species of goldenrods and much more. The view from on top of Harlem Hills is outstanding. 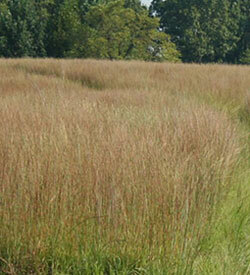 We then will cross town to one of the best wet-mesic prairies around, Searls Prairie. Here we find tall wet grass species like Cordgrass and a show of Blazingstars better suited for moist roots. It is a beautiful prairie and a good indication of what Illinois once was. Don Miller will be our guide as we tour these lovely gems. We will have lunch at Toni’s of Winnebago on our way home. Carpool from the Staples Parking lot at 7:30. We will return approximately at 2:30 p.m. Long pants and sturdy footwear are suggested, as well as a water bottle. Please contact Laura Dufford if you plan to attend.